Daily, we venture among the sea of new babies to vaccinate, tag, band and of course color cute little noses pink! Cowboy entertainment Catch me if you can! Cattle prices are maintaining a healthy momentum through to calving season; we’ve made the decision to put some money back into the little darlings this year. Our cattle numbers culled, along with soaring fuel prices and premium calf prices, we have brought the mammas home to the hay. 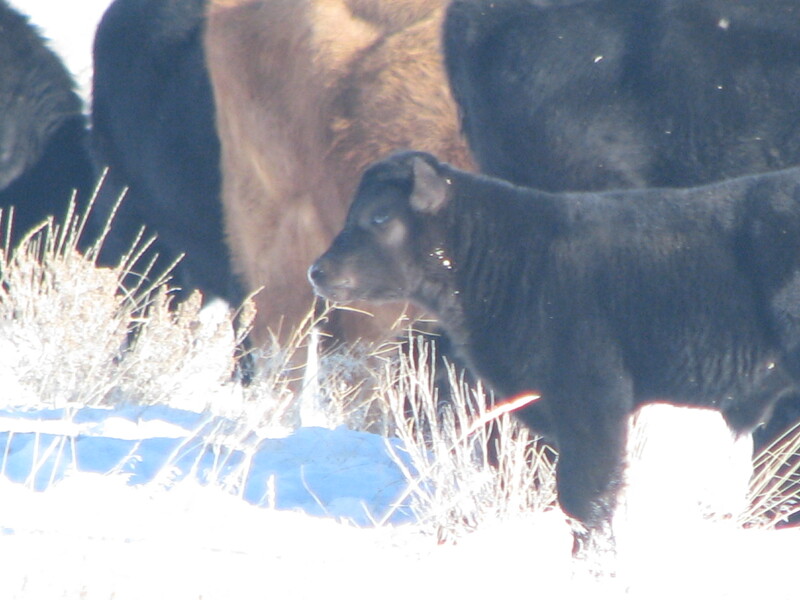 Our fist calf to doctor today lay after two days of snow amid the only mud on the meadow. What a cute little fart she was. The calf, not my widget. I grabbed her hind foot like an old hand, flipped her to her side in a breeze. I heard laughter from the truck. Then, I was ushered backward, away from the baby bovine by her hostile and irate mother. She wasn’t mean, she didn’t hit hard. Lifted me off the ground, I hear. She simply gave me a bit of gentle persuasion away from her calf. Needless to say, my widget didn’t get to color the calf’s little nose pink. She’ll get the next.